Been diving in Anilao, Batangas? Please Vote! Anilao is a barangay (village) in the Philippines located just south of Manila on the large island of Luzon. Known for its wide array of small and interesting marine life, Anilao is considered by many to be one of the top 3 best muck diving destinations in the world. 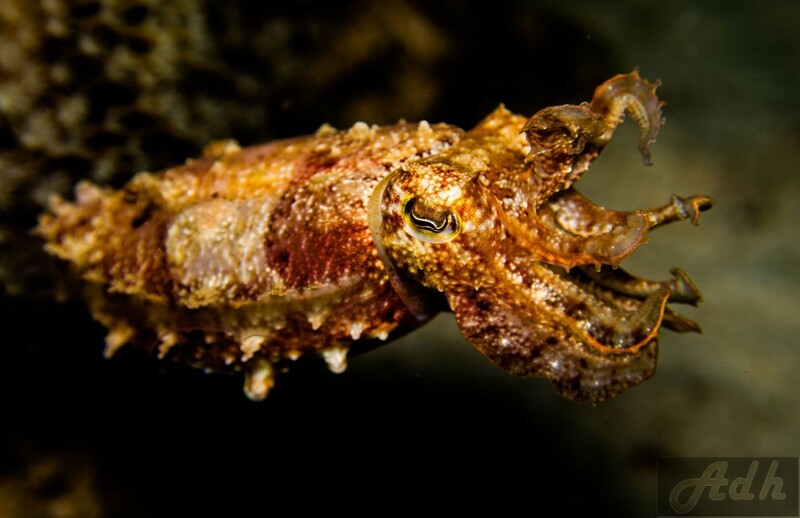 So critter-lovers and underwater photographers take note: Anilao is macro paradise! There’s a wide array of weird and wonderful creatures to see and underwater photographers will never be short of great photo subjects at this fantastic destination. With healthy reefs and a variety of shallow and deep dives, the marine life at the dive sites in Anilao is nothing short of abundant. Divers will find incredible diversity here with an array of nudibranch species, rare critters and even colourful reef fish to add to the superb underwater scene. Juvenile fish are plentiful in Anilao as are shrimp, crabs, various octopi species and pipefish. Basically, if it’s on the list of muck and macro diving critters, it’s likely to be in the waters of Anilao. Anilao isn’t just all about the small stuff, however, as schools of jacks, barracuda, reef sharks, blue trevallies and even small whale sharks are spotted from time to time. As if you needed any more reasons to dive at Anilao, the many dive sites also boast many different species of hard and soft corals. For underwater photography enthusiasts, especially those interested in macro and supermacro photography, it doesn’t get much better than Anilao. With little surge to speak of and plenty of colourful and odd-looking subjects, photographers should spend as much time underwater as time will allow. With some critters making an appearance during the day and others only at night time, serious photographers should take full advantage of the easily accessible dive sites and click away! Many dive guides will carry a honking device to alert other divers to interesting creatures they find, so keep your eyes and ears alert. Many of Anilao’s dive sites are easily accessible via boat, with just a short ride of up to 30 minutes separating eager divers from the macro diving paradise beneath the surface of the water. The small boats used in Anilao are comfortable and intimate, usually only seating up to 4 divers and a 2 or 3-man crew. Many divers used Nitrox to make the most of their Anilao diving experience, and many visitors will enjoy two dives in the morning and two dives in the evening. Night diving in Anilao is very popular and is considered a must-do for all visitors. Although the name Secret Bay alludes to the fact that this dive spot is a secret, it is in fact one of the most famous muck-diving sites in Anilao. Also known as Mainit Muck, this site is a great diving experience during the day and gets even better at night. For the best experience at Secret Bay, stay within the 3-21 metre mark which is where you’ll see the most marine life. During the day, look out for mantis shrimp, octopi, nudibranchs and gobies, whilst divers might find fascinating squid and cuttlefish in the area once the sun sets. Mainit Muck also boasts regular sightings of tiny frogfish, bobbit worms, colemani shrimp, seahorses and ghost pipefish. Mainit Point is one site where divers can experience pelagic encounters including the likes of sharks, barracuda and trevallies which can often be seen swimming here in the strong currents. For a brilliant display of colour and an almost-guaranteed picture-perfect scene, head to Beatrice for plenty of wide-angle photography opportunities of colourful schooling anthias or visit Devil’s Point for stunning soft coral gardens. Other worthwhile sites to explore include Basura, Kirby’s, Bethlehem and Twin Rocks. Underwater photographers will be in their elements at these sites and will never be left wanting for photography subjects. Day trips from Anilao are also an option, and Verde Island boasts great wall diving for anyone who has the time to make the trip. Thanks to its recent surge in popularity, Anilao isn’t as difficult to get to as it once was. Anilao is accessible by land or sea, and is best reached from Manila, the capital of the Philippines. A bus headed for Batangas City will get you to the Mabini/Bauan jeepney terminal, where you’ll be able to catch a jeepney to the Mabini dock area. From the docks at Mabini, catch a taxi or hire a driver to take you to your resort in Anilao. Anilao has a number of dive resorts to accommodate those wishing to stay on the island. Since most of the dive sites are located in the south of Anilao, the resorts in the south are able to offer quicker transfer times to the sites, whereas resorts in the north will require longer boat trips to the more popular dive sites. Many visitors also consider the option of staying across the channel in Puerto Galera, from where it is possible to transfer to Anilao in a couple of hours via ferry, car or private boat. Puerto Galera can offer more in terms of night life, restaurants and bars, however many prefer the quiet, serene location of Anilao with its close proximity to great dive spots and stunning natural surroundings. Travelling by liveaboard is also an option in Anilao. Although visibility is fairly good and pretty consistent for long stretches of the year, the best time to dive in Anilao is probably between the months of October to May when visibility is between 12-20 metres. April and May stand out as the most popular months during which time the resorts and dive sites are exceptionally busy. The main months to avoid diving in Anilao are July and August which are renowned as the monsoon months. Visibility is poor during this time and the water’s surface tends to be choppy and unpleasant. Average water temperature is quite warm throughout the year though, with January and February being the coolest months when the water temperature drops to 25°C. Feeling inspired to visit Anilao, Batangas? Check out our Anilao, Batangas travel guide and start planning your next diving trip! Great for technical diving. Shore drops off about 10 meters into the water and gets deep FAST! I would recommend seeing Twin Rocks if you only have time for one dive. It’s close to the beach so shore entry is fine.